Camera Lock for OS X keeps prying eyes from spying on you. There was a flurry of stories some months back about rogue programs or hackers activating webcams that were external or built-in on desktop and Mac laptops. The stories left a lot of people with a queasy feeling, and recent NSA revelations have also called into question the security of our computers and mobile devices. Camera Lock (US$2.99, currently 40% off) is an interesting Mac utility that enables you to lock out your camera and refuse access by any app. If the camera was already in use, the video freezes and the green LED starts flashing. 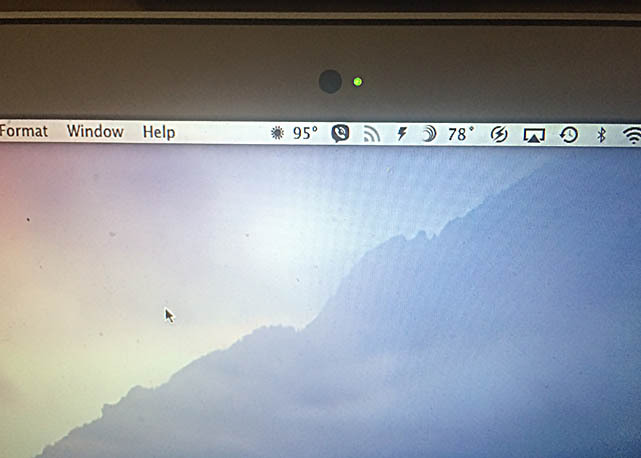 The app operates from the Mac menu bar, and lets you lock or unlock access to the camera. If unlocked, the app alerts you that someone or some app is trying to access the camera. The Camera Lock app can be launched at login, and there is a log that shows recent activity. I tried the app on my MacBook Air and it worked as advertised. When locked, the camera simply would not work with apps including FaceTime and Messages. When unlocked, the green LED flashed when I accessed the camera. Unsurprisingly, Camera Lock worked in an identical manner on my Mac Pro, which uses a Logitech external USB webcam. The LED flashed when it was accessed, but when the lock was on no other app could get to the video. When cameras are locked and unlocked, you get an on-screen notification and a sound. I’m not sure how much of a threat people spying on you from your webcam is, but certainly it has been done and Camera Lock seems to prevent it smoothly and effortlessly. Of course any system can be bypassed by knowledgeable hackers, so the best protection against camera intrusion is to have no camera at all or put a piece of tape over it. Camera Lock requires OS X 10.9 or later and a 64-bit processor. Apple didnt want Beats, it needed Beats. That’s a big compliment for a product that launched less than six months ago and claims 250,000 customers, just a tiny fraction of the 10 million paid subscribers that industry leader Spotify recently touted. But Apple knows that the digital music industry is shifting rapidly, moving away from downloads and toward all-you-can-eat subscription services. It’s hoping that with its marketing muscle and Beats industry connections it can create a true rival to Spotify and keep Cupertino synonymous with the cutting edge of music. When asked last night if digital music downloads were in trouble, Cue admitted that “the rate has leveled off, it’s true.” That’s a bit of an understatement. 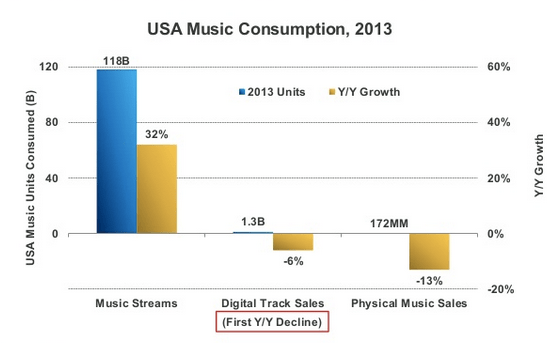 This chart, from tech investor Mary Meeker, illustrates the sea change happening the digital music market. Last year was the first time digital downloads didn’t just slow or flatline, they actually fell. Streaming services, meanwhile, continue to grow at a rapid clip. Apple dipped its toe into the streaming-music market with iTunes radio, which has reportedly been a disappointment. Past efforts at social music software, like Ping, also flopped. So it’s not surprising that Apple decided to try going outside for its next stab. And while Beats doesn’t have many paid subscribers right now, with Apple as its partner, the company suddenly has some very big advantages over competitors like Spotify, Rdio, and Deezer. While streaming music services have been growing rapidly in recent years, none of the major companies in the space have figured out how to turn a profit. For Apple, which has hundreds of billions in the bank, this isn’t an issue. In fact, Beats announced a price cut on its annual subscription yesterday. So far its monthly price is still on par with the competition, but if Apple wanted to, it could easily afford to undercut Spotify in order to steal market share. APPLE DOESN’T CARE IF STREAMING MUSIC MAKES A PROFIT Beats can now also be bundled with the purchase of new Apple devices. And that brings us back to the reason Apple saw this purchase as so important. In the past music was Apple’s strong suit. There was the iPod, obviously, which set the standard for music players in the MP3 era. In the early years, iPhone and iPads reaped the benefit of being easy to sync with the music collections many people had built up in iTunes. Streaming music services changed the equation. It’s easier to simply have almost all the world’s music available on demand for streaming — and to cache a few things for offline play — than it is to struggle with synching a huge collection of MP3 across multiple devices, or over stopgap services like Apple’s iCloud. Apple knew it needed to make a change or lose the musical advantage it had over Google and Microsoft. When will the iPhone 6 be released? September 19th, says German telecom. Ever since the iPhone 4s was released, it hasn’t been hard to predict when Apple will release the next iPhone. In the second week of September on a Tuesday, Apple holds its annual iPhone event; ten days later, the newest iPhone is released in the United States, Canada, France, Germany, the UK, and a handful of other countries. Following this logic, it’s pretty easy to guess that the iPhone 6 will be released on September 19th this year, after being announced on September 9th. And, in fact, that’s just what a German telecom is now predicting. According to Apple blog Apfelpage.de, officials for Deutsche Telekom have been notified that Apple’s next iPhone will be released on September 19th. Since Germany is traditionally in the first iPhone launch window with every new generation, that makes it extremely likely that Americans will get it on the same date. 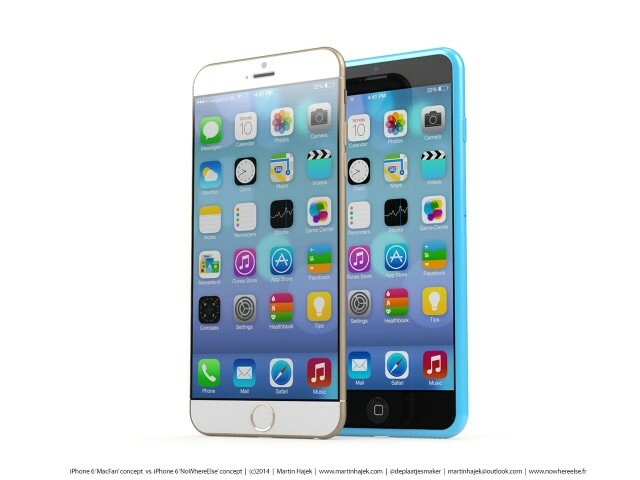 The iPhone 6 is believed to boast Apple’s new 64-bit A8 processor. A larger phone rumored to be at least 4.7-inches, it will have a thin, iPod touch like form factor, a sapphire glass display, a new camera, and more. Can this rumor be believed? It could be a solid guess disguised as insider intel, or the first official confirmation of what many of us have guessed all along. Either way, unless Apple changes its release window drastically with the sixth iPhone, you can count on the iPhone 6 being released just around the time the two-year contracts of iPhone 5 early adopters runs out, mid-way through September. 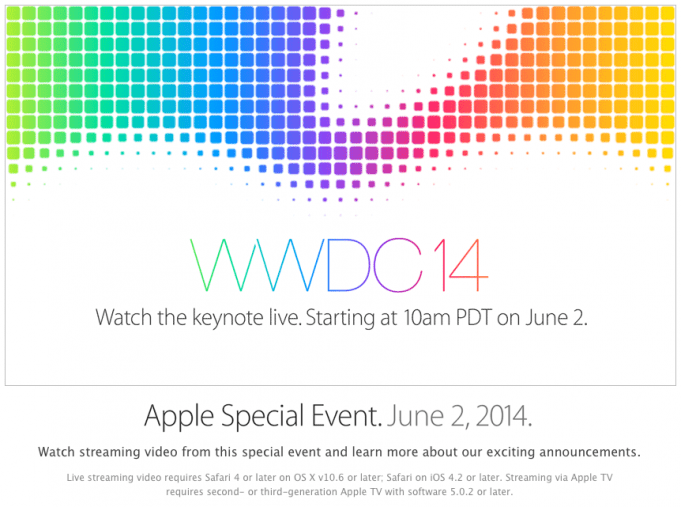 How to Watch Apples WWDC Keynote. Apple has, off and on, streamed recent product announcements, and it looks like next week’s WWDC Keynote will be televised. Specifically, it will be streamed to Apple TV users and visitors to Apple.com using recent versions of Safari on a Mac or iOS device, or Quicktime 7 on Windows. If you have the WWDC app, and an iOS or Mac OS developer account, you should have access the keynote as well as all the videos of the conference sessions, once they are posted. I’ve attended a couple of WWDC conferences and it’s nearly impossible to see every session you want, live. There are simultaneous talks throughout the conference. Any Apple developer will struggle to choose which one to attend and which to skip. That’s why the videos are such a great resource. The keynote however is the only show in town at that hour. Unfortunately, to attend it, and get a decent seat, you have to line up the night before. Seriously, it’s like Black Friday meets a new iPhone! I’ve done it twice, and it was great to see Steve Jobs in person, but I’ll stick to the video feed this time. You end up being exhausted when you need to be sharp, to get the most out of the sessions. The real advantage to attending in person is the one-to-one sessions with Apple’s experts. You can get direct feedback and technical answers from user interface gurus and SDK programmers. I’ve met with the man in charge of Apple’s Text-To-Speech voices at several events, and that was invaluable to making my apps better. These are not interns but the actual people building iOS and Mac OS. 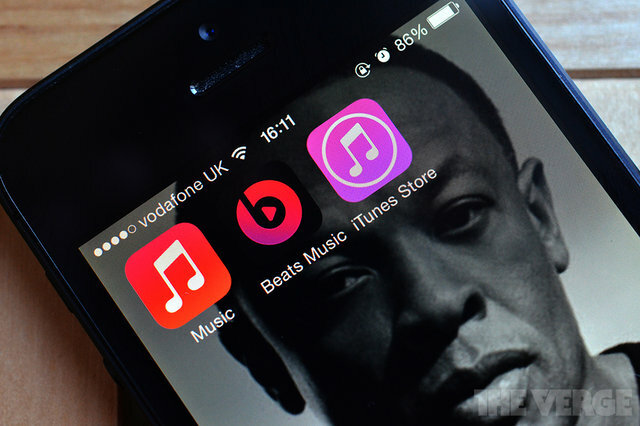 Apple confirms Beats purchase for $3 billion, expects to close the deal in fiscal Q4. In announcing the acquisition, Apple’s leadership spoke with The New York Times about the deal with Beats. Beats Electronics, of course, is the maker of a wide range of audio equipment including headphones, earphones, speakers, and car audio systems, although the company is most commonly recognized for it’s brand of high end consumer headphones and speakers. The company has previously had relationships with Monster and HTC, and its headphones and portable speaker line has maintained a large presence at Apple Retail Store locations throughout its success. The business is said to bring in $1B a year. The company also launched a music subscription service (which I’m concerned may go away) in late January to compete with the likes of Spotify, Pandora, and even Apple’s iTunes Radio, although that service is young and has reportedly only added about 200,000 subscribers since launch. Aside from proven marketing success and a fresh music subscription service, the Beats Electronics deal offers up the music industry expertise of record producer Jimmy Iovine and hip-hop artist Dr. Dre, both of whom are founders of the Beats company and rumored to appear at WWDC next month and take leadership roles at Apple. Apple displaying colorful banners at Moscone West ahead of WWDC 2014. Apple revealed today that it will indeed be streaming video of the anticipated opening keynote from WWDC next week, and now banners are beginning to be displayed through Moscone West in San Francisco where Apple’s developer conference will be held. The banners so far reflect the same design used in the WWDC promotional material for this year including the “Write the code. Change the world” slogan used by Apple. Apple has already revealed much of the schedule for its developer conference next week where the next versions of OS X and iOS will be revealedincluding the keynote announcement set to take place on Monday, June 2nd at 10 am Pacific/1 pm Eastern. Last week, Apple released an update to its iPhone and iPad WWDC app containing the venue map and much of the conference schedule. However, Apple hasplayfully hidden the majority of this year’s session titlesuntil after the keynote scheduled for Monday. We’ve already reported much of what is to be expected from the latest update to OS X (OS X 10.10) and iOS (iOS 8) including Healthbook, and yesterday anew report was released signaling Apple will unveil an iOS-controlled smart home automation platform at the conference. In addition to WWDC, two top Apple executives are scheduled to offer interviews this week. Eddy Cue, Apple’s SVP of Internet and Software Services, and Craig Federighi, Apple’s SVP of Software Engineering, are both announced as appearances as Re/code’s Code Conference tomorrow night. Watching kids trying to figure out how to use an old Apple II is totally hilarious. In Stanley Kubrick’s sci-fi masterpiece 2001: A Space Odyssey, there is a scene in which a tribe of early hominids, having encountered an extraterrestrial Monolith for the first time, are suddenly evolved to the next stage of human consciousness, and are capable of using tools for the first time. This video of children from the ages of 6 to 13 trying to figure out how to work a vintage Apple II is like the opposite of that. And it shows just how inexplicable computing was to pretty much everyone before Steve Jobs released the original Mac in 1984. YouTubers the Fine Brothers have an entire series of videos in which they sit children down in front of vintage devices like Walkmen and CD players and make them use them blind. They’re usually pretty amusing, but this one, in which the kids take an old Apple II for a spin, is particularly enjoyable. I think it’s easy to forget, even for those of us who were there at the time, just how inexplicable early computers are. For example, while the kids in this video are as mystified as you’d expect by the lack of Internet, mouse or even apps on an early Apple II, they’re completely mystified by the fact that they can’t even figure out how to get it to compute simple math problems without entering the “PRINT” command first. Or the fact that upon turning on a vintage Apple II, nothing happens until you hit the ‘Reset’ button. Some of the kids try to look on the bright side of things, saying that the Apple II is impressive because it’s “kind of the first technology,” but you can tell their hearts aren’t really in the compliment. Although only around 35 years old, the Apple II might as well have been a thousand years old, as far as these kids are concerned. What’s interesting to me about the video is that I’m guessing if you put these kids in front of a classic Macintosh from just four years later, they’d immediately grok it, and at least be able to figure out how to use it without being guided by the nose through every step. That’s what is so amazing about what Apple did for computing: in just four years, Apple essentially invented the personal computer twice. Once for science nerds, and then for everyone. And they haven’t stopped since.